1 little wombat Wakes from his rest. 2 little hopping mice Hop from their nest. 3 little quolls Go out on the prowl. 4 little devils Yip, Yowl and Growl. 5 little gliders Sip nectar from a tree. 6 little fur seals Swin in the sea. 7 little fruit bats Share a fresh peach. 8 little penguins Frolic at the beach. 9 little dingos Howl at the moon. 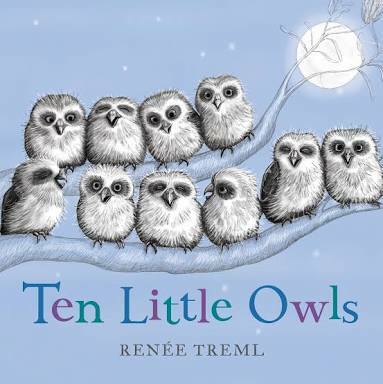 10 little owls Hoot a goodnight tune. 1 little tired wombat returns to his bed...Good night, Sleep tight little sleepy head!